The Manteca Firefighters have a long and proud history of serving the citizens of Manteca and surrounding communities. Here is the Financial Analysis prepared by the International Association of Firefighters. The City of Manteca has issued layoff notices to 16 employees even though there has been a reduction of $14 million dollars in projected personnel costs. The analysis is posted for your review. If you have any questions ask them here or contact your Mayor or City Council Members. What is staffing? Staffing is the amount of firefighters on duty at a given time. Currently, the Manteca Fire Department has a staffing level of 12 firefighters per day. When someone takes time off, that spot is filled with overtime. To alleviate budget strains, Firefighters in Manteca have reduced this overtime by trading shifts and only allowing 1 firefighter off at a time. This has helped the Fire Department reach roughly $1.6M in general fund savings. With looming layoffs there will be 10 firefighters on duty every day. The National Standard for personnel at a normal residential structure fire is 15. Manteca will fall well below this threshold. In 1988 Manteca had 10 firefighters on duty...we are threatened with that number again. The Fire Department has historically been on the low end of the personnel to population ratio. If you want to go way back, in 1969 the Manteca Fire Department had 8 full-time firefighters in the general fund. With the proposed cuts, the general fund would have 15 more firefighters in 2011 compared to 1969...That would be a jump in population jump from 13,500 to 67,000 during the same time period. Since 2008, 13 personnel have been removed from the general fund. 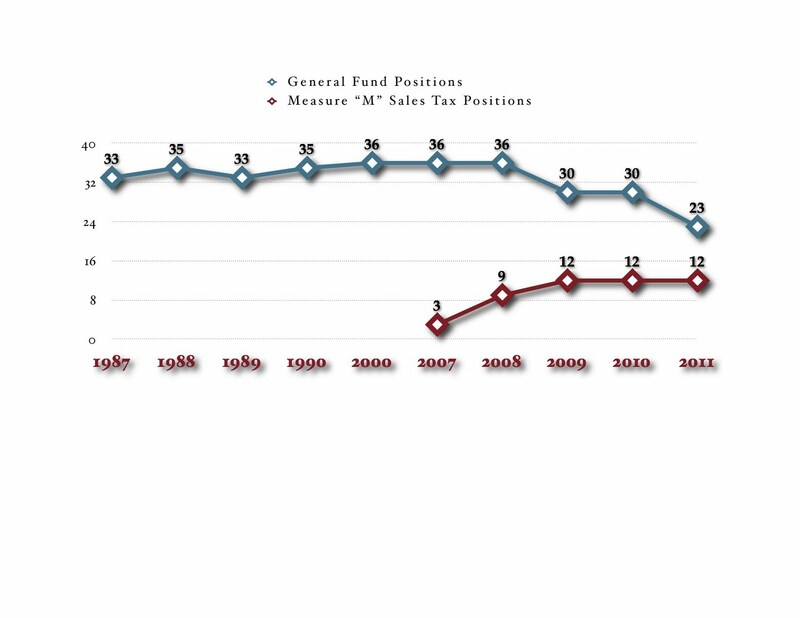 In 2006 Measure "M" was passed as a half-cent sales tax to benefit public safety, split 50/50 with police. This measure has been extremely valuable to our community with 12 firefighters and soon to be 15 police officers. Measure "M" was passed to supplement public safety NOT supplant it. What's different about a firefighter's job? A firefighters job is different from most other jobs. Probably the most distinct difference is the schedule. The firefighters in Manteca work a 48 hour continuous shift. That means when the firefighters come together at 8:00 AM on the first day of their shift, they will be together for the next 48 hours. They will travel together, train together, eat together, work together and basically live together. This is why the "brotherhood" you may hear about is such a strong bond. Firefighters are not just co-workers, but they are essentially roommates as well. Because of this 48 hour schedule, firefighters also work a 56 hour work week. A normal full-time employee works 40 hours per week. The pay would seem elevated for a firefighter but when you take into consideration they are at work and away from their families for nearly 17 months worth of hours if you compared it to a 40 hour week. You may ask why this is so, why don't we go to shorter shifts? If the shifts became shorter and brought into something comparable to a 40 hour work week, the City would need to hire 50% more firefighters to cover all the shifts. The 48 hour shift is the most efficient and cost effective way run a Department. Priorities in the 48 hour shift obviously start with the response to emergencies. Manteca responds to nearly 5,500 calls annually. Next comes fire prevention which includes business inspections, safety checks and teaching fire safety to all 2nd, 4th and 6th grade students in the City. Training is next and working together to prepare for all emergencies. Training can consist of medical emergencies, hazardous materials, fire suppression, investigation, driving or a host of other subjects a firefighter has to stay competent in. Who has it the most difficult when a Firefighter is at work for 48 hours? Usually it's the wife at home with the children. Two nights away from home each week is extremely difficult for new moms and dads alike. The Firefighter's family also make a huge sacrifice for the safety of our community. We'd like to thank our families and community for supporting us in doing what we love. Thank you for visiting the official site for the Manteca Firefighters Local #1874. We hope to be able to provide the citizens quality and truthful information regarding our community. We will also be able to use this forum to field questions and provide answers to the best of our ability.